Set in the last days of Stalin’s rule in Russia and based on the international best seller by Tom Rob Smith, Swedish director Daniel Espinosa brings this taut thriller to screen with a top class cast. 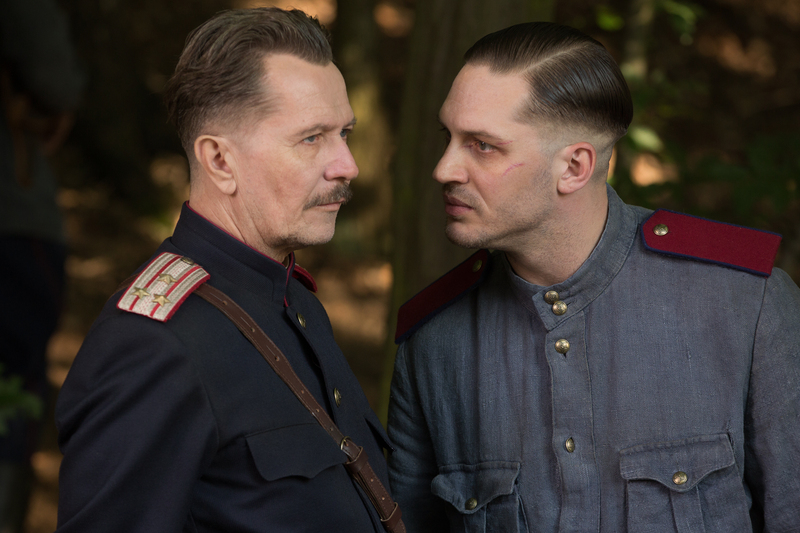 The always mesmerising Tom Hardy plays Leo Demidov, an idealistic former war hero, now an agent for the Ministry of State Security (MGB – precursor to the KGB), who decides to investigate a series of grisly child murders at a time when Stalin’s reign of terror is raging and murder isn’t officially supposed to exist. Demidov is soon disgraced and finds himself exiled with his wife Raisa (Noomi Rapace) to a town in the Ural Mountains where it seems that even the life and safety of his beloved wife is at risk. Demidov teams with his wife and General Nesterov (Gary Oldman) to uncover the truth in this tense mystery thriller with an excellent ensemble cast and the loving recreation of a time period that rarely gets a cinematic airing. Stunning cinematography from Oliver Wood underscores this dark thriller with an interesting dramatic plot that attempts to give a glimpse of what life was like in Stalin’s Russia.